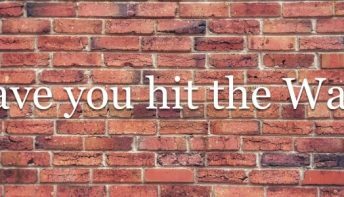 Have you hit the wall? Oh no. It’s the end of January. It’s still dark, it’s so cold, the sky is a perineal gunmetal grey and the clouds leach with damp and rain and sleet and snow. You’re losing the will to live. You cannot be bothered. Waking up on a dark winter morning feels wrong. Your body heaves with the effort, it aches. You feel the drag of exhaustion. To make an effort sits at odds with how you feel. You’d rather be a bear curled up in its cave, hibernating until spring. Does that sound like you?! This is precisely the time of year when the number of people going to the gym falls off a cliff. When people stop taking the stairs instead of the lift. When people forget about getting off the bus or off the train a stop earlier to walk to work. When those New Year resolutions feel like promises you never made. It’s tempting indeed. Particularly when the climate outdoors is soul-destroying. But before you run to the kitchen, take a moment, a minute, a few seconds to think. How will it make you feel AFTER you’ve raided the biscuits or the chocolate? Will you feel sated or deflated? Will you feel glad or bad? Would it be better to treat yourself post working out? But then we return to that little issue of exercise. The burst of activity that will make you sweat and swear but make you feel like you’re on top of the world after the fact. The routine that’s feeling a little too routine. You don’t want to do it. Even though you’ve started to see some changes – the looser jeans, the better sleep, the diminishing muffin-top – your heart isn’t in it. Yet, consider this: how will you feel if you stick at it despite these little demons getting into your head? If you say to yourself, okay, I’m going to do it regardless. Or, it’s not even a choice – I’m gonna make it happen. Or, I’m not going to forget why I started this regime in the first place. If you break it down like that, it will help you get through the funk, when everyone is reverting to old behaviours. You are more likely to start enjoying it because you’ve remembered that the reason you started far outways the investment of effort. You’ve re-packaged the notion of exercise in a different way, and you’re being goal focused (GF Fitness’ branding! ), not activity focused. You will generate endorphins which will make you feel bright despite outside being grey. In fact, you might actually end up doing more than you set out to do. And, you may end up eating just one biscuit afterwards, or even better, not reaching for them at all. 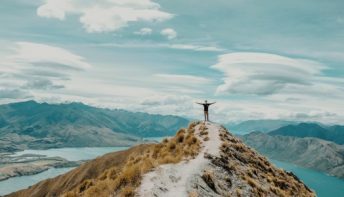 Our environment, our hormones, the struggles and strains of our home and work lives have profound effects on how we feel, which in turn affects our motivation to make our bodies work a little harder. Taking a moment to assess how your mind will respond, the energy you will have after you exercise helps to conquer that pulse of resistance. Hook out the positives you get from exercise. Movement will give you a kick, it’ll bolster your mood, it’ll help you fend off the inertia and the January blues. You’ll have a spring in your step and it will feel like spring is in the air already. So, before you say, no, I can’t be bothered, think about your mindset, your emotional well-being. Think to yourself, I can. And, I will. The reward will be worth it. 5 fundamental fitness and lifestyle steps.